Crossbearer (g. by Keep the Faith). Winner at 1600m in 2017-18 in Aust. Freedom Beckons (g. by Statue of Liberty). Winner at 1300m in Aust. Dashahoy (f. by Dash for Cash). Winner at 1000m in Aust. Danaman. 10 wins-1 at 2-to 1400m, A$102,779, MVRC Tabaret After the Last H., 2d VRC Bulban H., 3d MRC Time & Tide H.
UNTAMED DIAMOND (Snitzel). 7 wins-1 at 2-to 1200m, NZ$91,375, A$196,430, to 2017-18, Waikato RC Sprint H., L, WRC Going South 3YO S., ARC Withers & Co H., ATC IGA Liquor H., Toyota Material Handling H., Theraces H., 2d BRC Bright Shadow H., L, ARC Celebrating Durham Town 2YO S., ATC Hyland Race Colours H., Schweppes H., Waikato RC Hinuera Lodge H., 3d ATC Harrys Parramatta H., 4th ARC Soliloquy S., L.
Radical Impact. 8 wins at 1200m, 1300m, A$257,450, to 2016-17, ATC Go Electrical H., 2d ATC Hyland Race Colours H.-3 times, Schweppes H., McGrath Estate Agents H., Winter Racing H., McGrath Estate Agents NSW H., 3d ATC Hungry Jacks H., Clubsnsw H., Evening Star H., TAB H., Schweppes H.-twice, Wyong RC Provincial Championship Qualifier. Hot Diamond. 2 wins-1 at 2-at 1000m, 1200m, A$76,750, SAJC Clean SA H., Christmas Twilight H., 2d SAJC Schweppes Tonic H., Reliance Tailem Bend 2YO H., Steve Day's 50th H., Miss Vicki & Muse Boutique H., 3d SAJC Bridges Financial Services H., Bennie Conway H., Gliderol Garage Doors H., Windsor Estate Wines H., Adelaide Cup Day H.
Ask Me How I Know. 4 wins from 1200m to 1600m, A$116,500, to 2016-17, SAJC Exelsuper H., Ubet Adelaide Cup Raceday H., 2d SAJC Ubet Adelaide Cup Raceday H., 3d SAJC Ubet 3YO H.
Scarpeleeno. 3 wins from 1500m to 2600m, SAJC William Buick Accountants H., 2d SAJC Bobby Musker H.
Brilliant Snitzel. Winner at 2, 2d ATC Bowermans Office Furniture 2YO H. Producer. Don's in Charge. 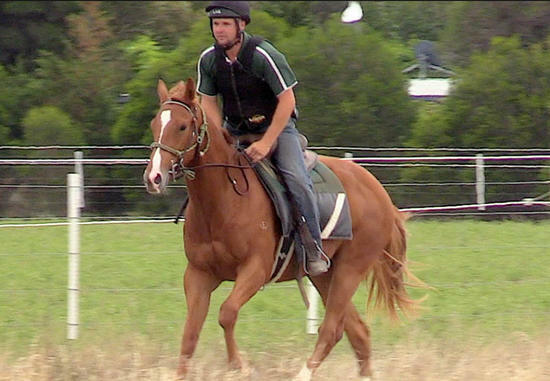 Winner at 1000m, 2d SAJC CFMEU Ark Tribe 2YO H., SA Unions P.
Angel Love. 4 wins. See above. Heart Reigns. 4 wins-1 at 2-to 1250m, SAJC 2YO H., 2d SAJC WH Wylie Memorial H., 3d SAJC Stillwell Ford H., Vic Flowers of Hyde Park H., Holden Barina H., 4th SAJC HC Nitschke S., L.
Bonview. Winner at 1250m, SAJC SA Unions P.
Koop Creek. 3 wins at 1400m, 1500m to 2016-17 in Aust. Regal Zodiac. Winner at 1200m, WATC Budget Corp-Rate Sprint H., 2d WATC Carbine Quality H.
Tagapagmana. 8 wins-1 at 2-to 1500m to 2017 in Philippines. Zona Libre. 4 wins at 1200m, 1400m to 2017 in Philippines. Outwards - Green and Gold (Mac.). Winner at 1600m in Macau. PRINCE CALL (Aurum). 12 wins from 1500m to 2000m, SAJC City of Adelaide H., L, Sanctus H., SGIC H., Embassy Welter H.